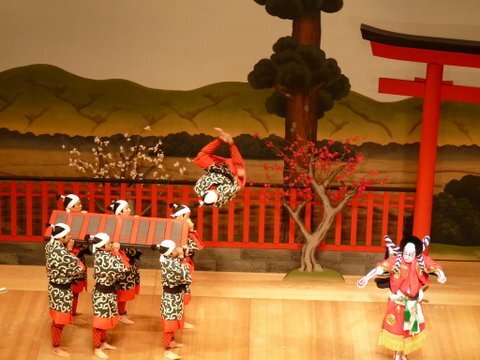 Experience a unique Geisha experience right here in Tokyo! 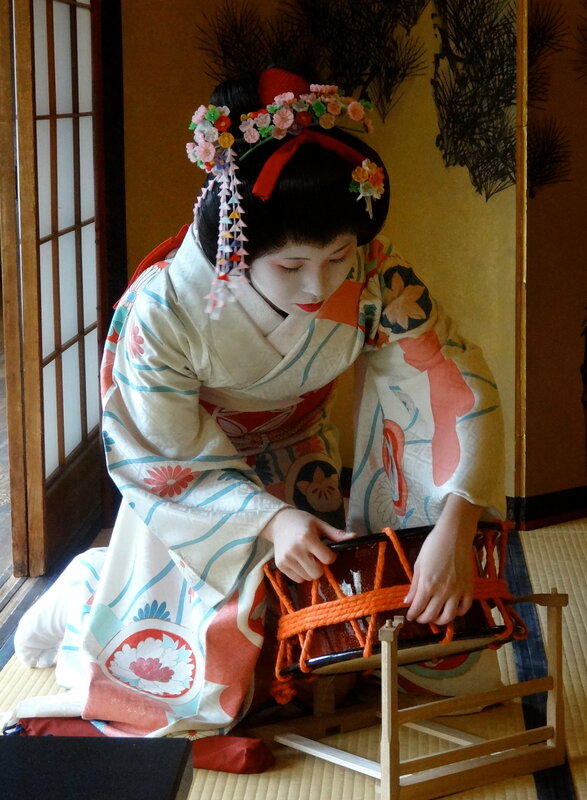 Be entertained by two Geisha while you enjoy a meal in a traditional teahouse. 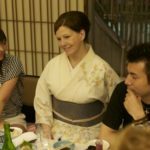 A real geisha banquet is a leisurely two hour meal of traditional Japanese cuisine during which you get to talk to your geisha for the whole duration and watch a traditional dance. Ever wanted to be Indiana Jones looking for treasure among relics? 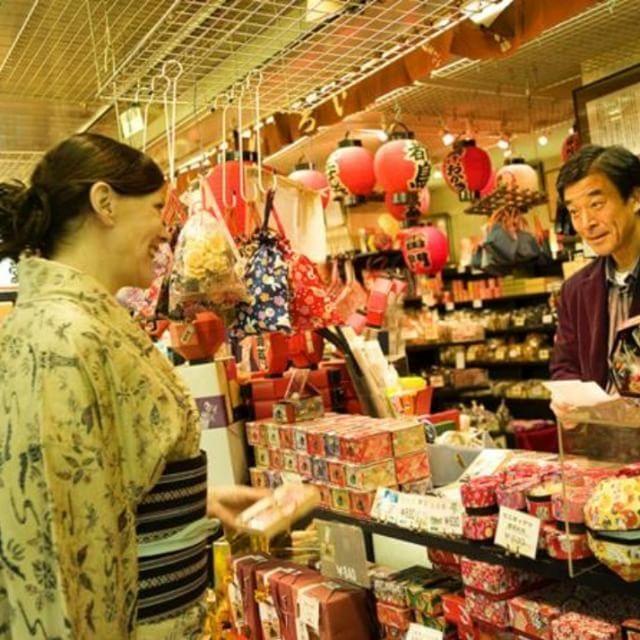 Here is your chance to go antique shopping in various markets throughout the city. 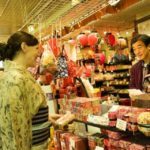 These markets, usually at shrines, have a huge variety of everything beautiful and antique, from kimono to pottery to samurai swords to geisha pillows. 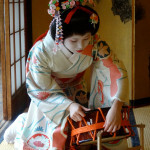 Have you ever wanted to have your own kimono? 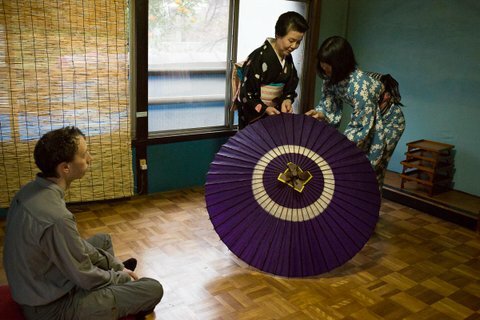 Take home a Kimono as a souvenir? 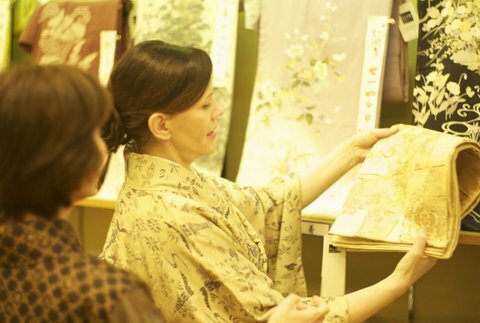 Or maybe just look at beautiful Japanese fabrics? 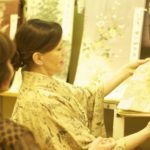 This tour gives you this opportunity to shop with your very own kimono expert who will take you around various kimono stores where you can buy beautiful kimonos for men or women at a very affordable price. 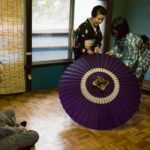 Come and discover some of the wonderful unique little shops and centuries old craftsmanship that goes into the making of things that geisha use. 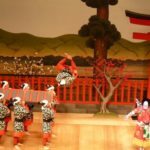 Look at the beautiful carved hair ornaments, silk bags, beautiful woven fabrics, hand-painted geisha fans, miniature carved toys and even the geisha underwear shop!